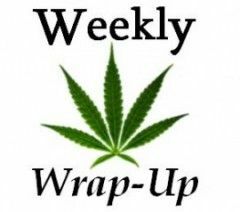 Week in Review: CBD Setback in Florida, Progress for Marijuana Research & Cannabis Stock Slump? Legal challenges threaten to further delay Florida’s CBD program, a new institute in the Czech Republic promises to spur medical cannabis research, and a federal interest rate hike could impact marijuana stocks. A deluge of new legal challenges will almost certainly postpone the launch of Florida’s CBD program, which has been held up several times already. Late last month the Florida health department announced the names of five nurseries – out of two dozen applicants – that will receive cultivation and dispensary licenses to produce CBD-based medicines. But a number of the losing applicants have filed 13 legal challenges that observers say will undoubtedly delay the process yet again. The five nurseries that were approved for licenses will not be allowed to cultivate until the legal disputes are settled, said Jeff Sharkey, president of the Medical Marijuana Business Association of Florida. He estimated that could happen in three to nine months. That could create some interesting issues, given that under Florida’s CBD law license winners must have product ready 210 days (or about seven months) after receiving their permits. Most of the complaints take issue with how the applications were scored. For example, one nursery filed for licenses in two of the five regions where permits were awarded. Although the two applications were almost identical, they received two very different scores, Sharkey said. “That would seem to suggest that there’s a problem with the evaluation process,” he said. Sharkey also noted that the three nurseries with the top scores in the state all came from the central Florida region. Only one of them, however, can win a license under the law. The company with the second-highest score in central Florida – McCrory’s Sunny Hill Nursery – lost out by a mere 0.0041 points and has issued a challenge. One of the key decisions will be whether the state chooses to assign a single judge to hear all the challenges in tandem – which would expedite the process – or if various judges will consider the complaints separately. Could a new cannabis research institute in the Czech Republic encourage parallel studies in the United States, thereby giving the medical marijuana industry more scientific credibility? Not at the federal level, but perhaps at the state level, said Mowgli Holmes, chief scientific officer of Phylos Bioscience and the head of a newly created research task force in Oregon. American and Czech stakeholders announced this week the launch of the Prague-based International Cannabis and Cannabinoid Institute, which they say will “foster evidence-based exploration” into marijuana-based medicine. While the U.S. government won’t jump into MMJ research anytime soon, perhaps states can find ways to foster cannabis research or replicate the Czech effort in some fashion. That is easier said than done because federal laws are more intertwined with scientific research than commerce. Still, it’s important to try. “Until we get the backing of some serious scientific research, our products will still be seen like snake oil to the rest of the world,” Holmes said. “You can’t run an industry without some serious research” to back it up. That’s one of the reasons support for the new Czech research institute runs the gamut and includes companies like Dioscorides Global Holdings, a New York firm that specializes in cannabis investments. The Federal Reserve announced a hike in interest rates on Wednesday for the first time since 2006, but whether that will have much impact on the marijuana industry is up for debate. Marijuana Business Daily spoke to a pair of financial experts who both keep a close eye on the cannabis financial markets, and they had differing views on the matter. Jerome Dewald, the president and CEO of JWD&A Holdings in New York, said the hike is “absolutely going to affect cannabis stocks,” though privately owned companies won’t feel nearly as big of an impact. Dewald said he’s already sold off a majority of his shares in publicly traded marijuana companies – including all of his shares of GW Pharmaceuticals, one of the premier public cannabis firms in the world. He predicted the hike is going to result in a good bit of short-term pain for a lot of marijuana-related public companies, as the vast majority are “lower-tier stocks” that traders like him will sell off before they choose to dump more solid stocks. “It would be very attractive between now and Dec. 31 to sell off those positions like cannabis stocks, knowing you could buy them back up in January, February or March for probably less than you sold them in December,” Dewald said. But Alan Brochstein, the founder of Texas-based 420 Investor, has a different viewpoint. He predicted that the rate hike will only lead to secondary effects because according to his analysis, the currently weak U.S. economy is actually good for cannabis companies. “The cannabis market is counter-cyclical,” Brochstein said. For example, a weak economy makes tax revenue from the marijuana trade more attractive to state governments, and possibly to the federal government in the long term. That supports arguments for relaxing cannabis prohibition. And when the economy is down, investors are willing to take a bit more risk in a sector that’s booming (like the marijuana industry). “There’s a real opportunity for the cannabis industry to continue to grow if the economy stays weak,” Brochstein said.